Next time you’re about to apply your favorite eyeliner, stop and think about whether it was tested on animals. Better yet, check the bottle. Infrequently Asked Questions: How do I know what vitamins to take? 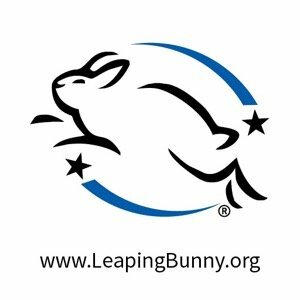 Cruelty-free products proudly display their origins, be it in plain text or via the Leaping Bunny logo. For some, the issue’s a no-brainer: It’s cruelty-free or nothing. Most of the country leans that way, with around three out of every four Americans saying they’re against animal testing when it comes to cosmetics. But not everybody’s on the same page. If your inner supermodel thinks this is a non-issue because a particular long-lasting mascara (to quote your Instagram post) “is to die for,” ask yourself if you mean that literally. These “tests” — reportedly conducted by some of the world’s best-selling cosmetics companies, be it at home or abroad — cause thousands of animals around the world to suffer, according to the Humane Society of the United States. Most often, the tests require chemicals to be rubbed onto shaved skin and into the eyes of living creatures like rabbits, guinea pigs and more. Animals used in some of these experiments are also forced to swallow large doses of chemicals to determine how much is required to be lethal. If test subjects somehow manage to survive, they are often killed via asphyxiation, decapitation or by having their necks broken. The good news is you don’t have to look far in Philly to find cruelty-free beauty products in a range of price points. The good news is you don’t have to look far in Philly to find cruelty-free beauty products in a range of price points, from upscale boutiques to chain drugstores. Moko, an organic beauty studio in Old City, is tuned into the latest and greatest products made by small crafters and companies that are cruelty-free. Moko’s owner Monique Mason says independents are, on the whole, far more responsible than many major beauty brands when it comes to what gets put into products and how they are evaluated. The shop, located on North Third Street, carries Intelligent Nutrients for hair and skin care. It's both biodynamic and cruelty-free. “It’s also certified organic by the USDA and food grade,” Mason says. The company was actually founded by the same people responsible for the popular Aveda line, now considered a pioneer in the natural beauty industry. Not far away, on Fabric Row, Juju Salon uses only organic products. Juliene Featherman, the founder and owner, has been recognized for her pioneering work in using healthier alternatives as opposed to chemically laden hair care and beauty products. In fact, all of Juju’s products are organic. They include sulfate-free shampoos, hydrating conditioners, paraben-free cleansers and non-toxic pomades and lip balms made from plants and essential oils. The popular brand Hamadi even carries the tag line “tested on actresses, never on animals,” after it started small among Hollywood insiders interested in using products free from artificial ingredients, perfumes and colors. It turns out these natural brands are especially pleasing to people with easily irritated skin and allergies, too. Juju’s inventory runs the gamut from Innersense, John Masters and Max Green Alchemy, to Sevi and Zoya, with so many natural ingredients included that they almost sound like lunch rather than the stuff you put on your skin, hair and nails. Because these brands rely on naturally sourced ingredients, they also have subtle, uniquely blended scents. Some, like Sevi, are completely vegan. With summer around the corner, sunscreen by Key Organics is a great way to start moving away from chemicals and into the natural realm. It’s been designed exclusively for people and their pets (Fido’s nose can burn, too) and is ideal for those who may tend to be allergic to more traditional balms or who are prone to skin cancer. The brand was even named No. 1 on the Environmental Working Group’s Sunscreen Report, so you can be sure it’s effective at blocking out harmful rays. There are plenty of wild colors in the cruelty-free rainbow. Kevin Gatto, the owner of Verde Salon in Collingswood, New Jersey, is always looking for new products to introduce to his inquisitive, health-conscious customers. “We take a close look at every product we use or sell,” says Gatto, who has already banned any products with ammonia and formaldehyde from the shop to help keep hair healthy and the air clean. “Reducing the amount of VOCs [volatile organic compounds] in our salon has a tremendous benefit to our health,” he says. He uses the same philosophy when it comes to cruelty-free products and sells vegan products in recycled and recyclable containers. “We have started using a hair color that is PETA-approved,” he says. PETA has released a full list of dyes that are not tested on animals, and it includes those by Kevin Murphy, Tints of Nature and Rusk. The good news for colorists is that these all-natural products aren’t limited in palette. There are plenty of wild colors in the cruelty-free rainbow. Duross & Langel, a Philly-born outpost in the heart of Midtown Village, only sells organic, cruelty-free goods that are made on site. Steve Duross and James Langel first launched their namesake brand as a way to have what Duross describes as “good clean fun,” or to create soaps, balms, lotions and perfumes free from toxins and animal testing. The shop also carries aluminum-free deodorant made from vegetable proteins. Why aluminum-free? There are different points of view within the scientific community, but some researchers say they have linked aluminum to health issues like Alzheimer’s. While these nice-smelling rub-on sticks don’t stop natural perspiration, they will, Duross says, keep the stink away. He recommends keeping one on hand to reapply when working and playing especially hard in the heat. Highly recommended: the Moroccan cedar scent. You’ll also find shaving creams, masks, moisturizers and anti-aging creams at the shop, all with the benefit of knowing you’re supporting a local business that doesn’t use harsh chemicals or test on man’s best friend (or any other little critters). But you don’t need to go to a fancy boutique to find smarter, kinder products to stock the medicine cabinet and the makeup kit with. A few chain stores carry select cruelty-free products in Philly, like Ulta on Walnut Street, where NYX, Smashbox, Tarte, Too Faced and Urban Decay are sold. These items have you covered from head to toe and include nail polish, which has been known to carry breathable toxins. It’s important to ask a sales professional for help and to look for the label that indicates whether a product is cruelty-free. Ask yourself: Do you recognize these ingredients from the natural world, or do they sound more like they were invented in a factory? The same goes for beauty products at Nordstrom Rack, which also sells Urban Decay and NYX, and Sephora, which has cruelty-free brands like Spa Ritual and Obsessive Compulsive Cosmetics, among others. Nearby at LUSH, organic rules every product — from the bath fizz to the makeup. The retail chain has actually been publicly opposed to animal testing for 30 years. It not only speaks out against the practice but also encourages others to get vocal about animal welfare here at home and around the world. The company’s credited with helping to reduce the number of U.S. manufacturers that test on animals, which is not legally required in this country. Buying something from LUSH not only supports cruelty-free business but also comes with a side of corporate activism. If you can suffer the long mid-day and evening lines in Center City, Trader Joe’s also carries a small selection of super affordable soaps, toothpastes, hair products and lotions that are cruelty-free, as does Whole Foods. Quite a few of the Whole Foods products, like its own 365 brand and Dr. Bronner’s, are also vegan. More neighborhood drugstore chains have similarly been introducing inventory that’s free from animal testing. At CVS, you’ll find Burt’s Bees and Physicians Formula, and at Rite Aid, there are Bonne Bell and Wet N Wild. Target and Urban Outfitters also carry the cruelty-free brand e.l.f., while Walgreens has most of these same budget brands on its shelves. The key to enjoying a healthier, more organic — not to mention guilt-free — lifestyle starts by simply reading labels. Just as you might look for the number of carbs or calories in a dish, you can research a product’s ingredients. Ask yourself: Do you recognize them from the natural world, or do they sound more like they were invented in a factory? The U.S. Department of Agriculture also explains the methods behind organic certification online. And web-based guides, like this one from Leaping Bunny, let you search for your favorite brands to find out if they’re part of the problem — or the solution.